Picnic en Plein Air presented by Illinois Bank & Trust is an outdoor dining experience like no other. 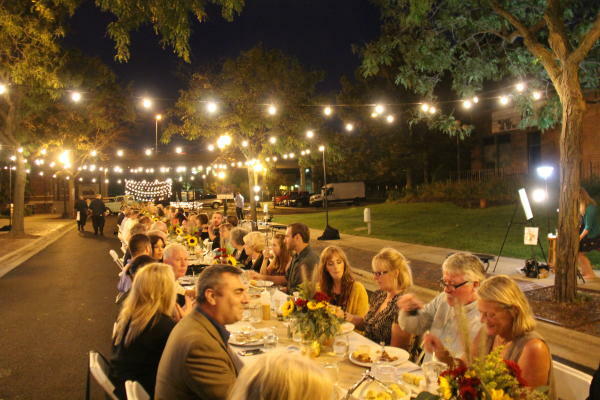 Join the River District Association for an engaging upscale picnic style dinner evening on Water Street along the Rock River near the City Market Pavilion and Millennium Fountain park in downtown Rockford. 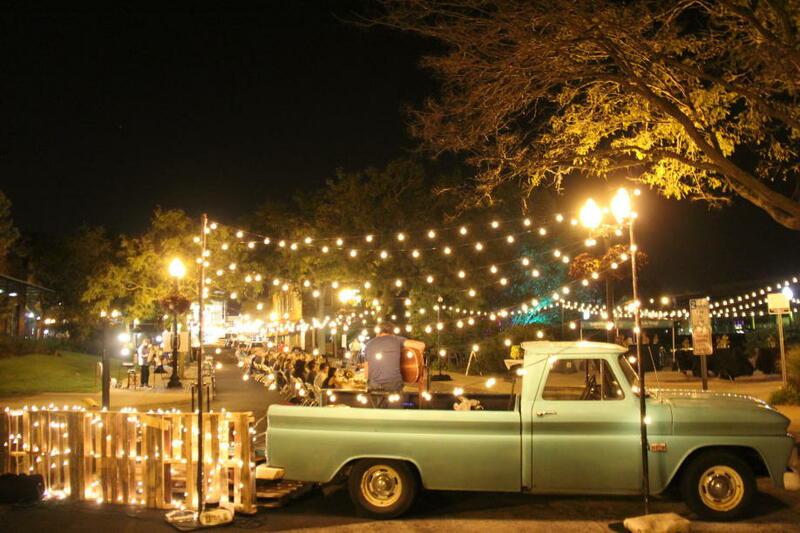 The Americana and Rustic/Vintage style evening will be catered by well known chef Paul Sletten, owner of Abreo. Bar service will be provided by District Bar and Grill, and Kelly Steward and Greg Whitson will play live from the back of a rustic pick-up truck. Local artists will be creating original works of art throughout the night. The works created by our artists will then be auctioned off to help with future RDA events and programs. In addition, the "Rock the River District" campaign will kick-off at the event. Featuring a rock painting station with all the supplies needed, guests are encouraged to paint a rock with fun, positive quotes and tiny works of art. The rocks will then be distributed around the River District for others to find, move to a new place, or keep. Continuing on will be a game of hide and seek. Find a rock with a business logo on back and you can bring it in to the designated business for a special discount! Sponsors include: Presented by Illinois Bank and Trust, with additional support from Go Rockford, WREX-TV, Senator Dave Syverson, U.S. Bank,SwedishAmerican, V2 Marketing Communications, Gary W. Anderson Architects, Urban Equity Properties, Alpine Bank, 317 Studio & Gallery,District Bar and Grill, QMI, London Avenue Designs, and Rock River Development Partnership.